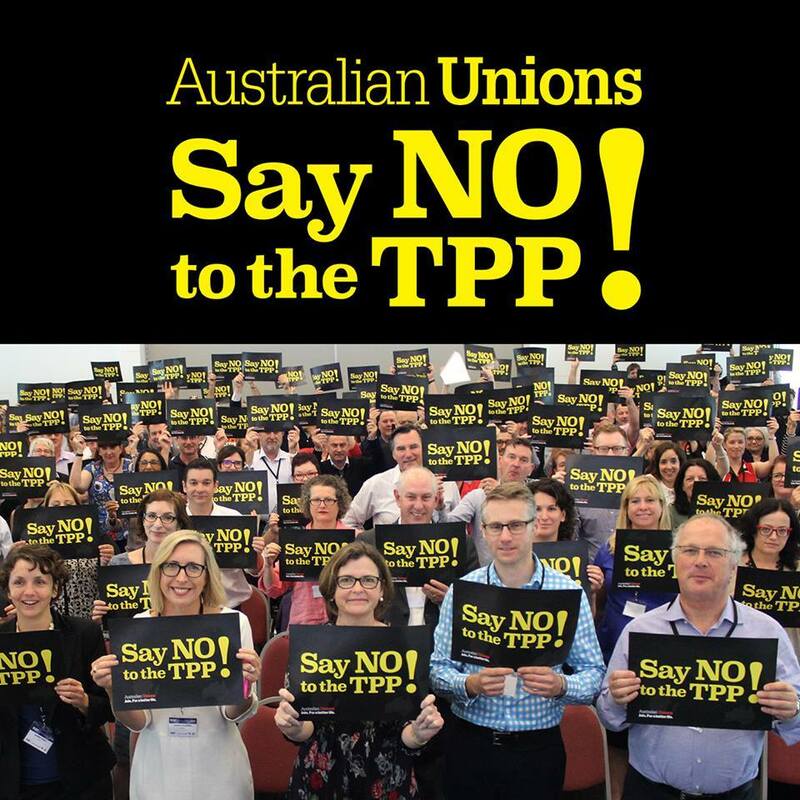 Once again, the Labor Party is selling out Australian workers to imperialism by voting in secret to adopt the Trans Pacific Partnership. But then again, why would we think they wouldn’t? It’s of little surprise to anyone as the ALP leadership has consistently danced to the tune of big business. Since its inception, the ALP has always been a party of capitalism incapable of making any profound changes to the economy and political life of Australia. During periods of economic boom the ALP is capable of making small changes that may benefit workers, in social spending for instance, but the guts of the problem remains the same. The ALP maintains the capitalist system by administering its bureaucracy and controlling the working class with the help of some union officials. This is not to denigrate the majority of ALP rank and file members and supporters and honest union officials who struggle for a better world. The guts of the problem are our continued links to imperialism; once in the form of British imperialism and now in the form of US imperialism. Australia’s wealth is being extracted by big international business with very little coming back to Australia. They continue to demand more and more through privatisation of taxpayer assets such as our education system (TAFES and universities) our transport system, electricity system and the list goes on. Labor has been involved in this process equally if not more than the conservatives of the Liberal/National Party. The ALP has also been involved in weakening the union movement and co-opting its leadership to capitalism (through the Accord process, WorkChoices Light and Fair Work). The ALP is funded by union/workers money and contributions but hoses down workers’ struggles and delivers them to bosses by continuing to support this system of exploitation and rampart profiteering. Lenin argued that, “The Australian Labour Party … is a liberal-bourgeois (capitalist) party, and the so-called Liberals in Australia are really Conservatives”. So why would we presume that Labor is going to be better for the Australian workers or the economy than the conservative party of the Liberals/Nationals ? So why do working people continue to leave their destiny in the hands of the political party that is going to sell us down the drain? The ruling class of big business promotes the illusion that there are major differences between the two main bourgeois parliamentary parties. Part of the problem is that the ruling class through its all-pervading capitalist class ideology and mass media imbues working people with the idea that this is as good as it gets, that good and bad periods in the economy are all we can hope for, the rich keep getting richer, the poorer getting poorer, an election here and there where we get to make a difference. The whole history of parliamentary elections is about getting in the political party which continues to administer the capitalist system most efficiently. LNP/ALP are interchangeable. When illusions about the LNP in government wear thin and the system of capitalism begins to be questioned more deeply the ALP is wheeled into government to re-boot the illusions in capitalism and hose down the restless working class. At the moment the capitalist class is in power regardless of any election result. They dictate the rules, they remove leaders they don’t like, and put in place the ones they like. Labor may get elected in spite of supporting the TPP, and will be elected on the basis that we think they will “change the rules”. Change the stools I reckon. Get rid of the illusions about them altogether and then at least we can see this system for what it truly is, an economy based on profit for the few and a political system that backs it to the hilt through either the Liberal Party or the Labor Party. Don’t just change the rules, change the system!